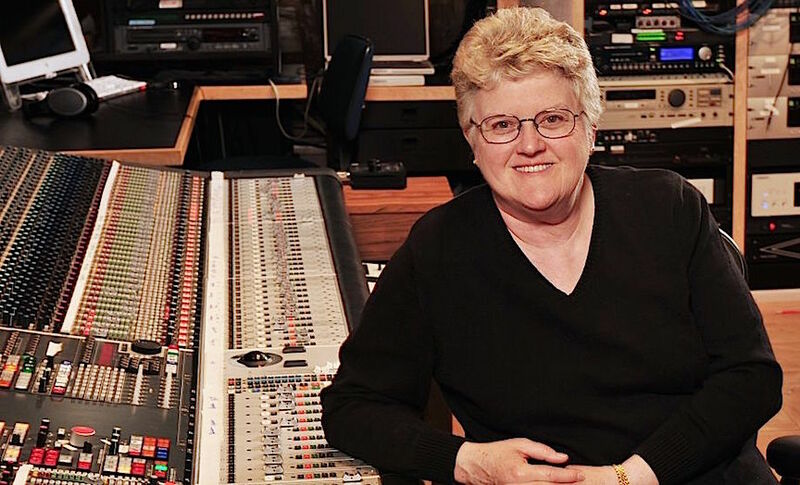 CARLSBAD, CA — The NAMM TEC (Technical Excellence and Creativity) committee is pleased to announce that Leslie Ann Jones, the groundbreaking engineer, producer, and Director of Music and Scoring for Skywalker Sound will be inducted into the NAMM TEC Hall of Fame at the 34th Annual NAMM TEC Awards, January 26 in Anaheim, California. Jones joins luminaries Rose Mann Cherney, Skunk Baxter, Hal Blaine, Jack Douglas, Nathan East, Geoff Emerick, and others with her induction, the industry’s highest honor for pioneers of audio technology, as well as the music industry’s most accomplished producers and audio technicians. After beginning her career playing in rock bands and running her own live sound company, Jones went on to hold staff positions at ABC Recording Studios (Los Angeles), the Automatt Recording Studios (San Francisco), Capitol Studios (Hollywood), and now at Skywalker Sound, where she continues her career recording and mixing music for records, films, video games, and television, as well as producing records — primarily in the classical and jazz genres. The NAMM TEC Hall of Fame award was first bestowed in 1988 and is presented at The NAMM TEC Awards annually during The NAMM Show, the global gathering of music, sound and event technology in Anaheim, California (January 24-27, 2019). The awards honor the many individuals, companies and technical innovators used in sound recordings, films, broadcast television, and video games, with the 2019 nominees announced earlier this year. On the evening of the awards, the winners in 31 categories of products and projects in the areas of Technical or Creative Achievement will be announced. Purchase tickets in advance for $65 (General Admission) or $195 (VIP). The show begins with a VIP-only reception at 6PM, followed by the awards ceremony at 7PM, held in the Hilton Anaheim’s Pacific Ballroom. Stand-up comedian and entertainer Demetri Martin will return to host the celebration.